Excellent anti-corrosive agent for all iron metals like gates, machines, metal housings, fittings, fences, etc. Application Excellent corrosion protection for most sophisticated applications. Especially suitable for the protection of welded seams as well as for all metals which can be attacked by corrosion. High-Tech Easy And Quick To Use Cathodic Anti-Corrosive Agent. Tamper-Proof Cap Avoids Unauthorized Use. Can Be Coated After Approx. 24 Hrs. Heat-Resistant After 8 - 12 Hrs. Cold Galvanization against corrosion. To repair and adopt color of aluminium or zinced surfaces which have been damaged by welding, sanding, drilling, transportation etc. Overpaintable with air-drying acrylic and Synthetic lacquers,heat resistant upto 300 deg C, Electrically conductive. 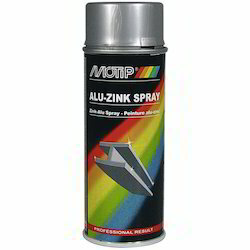 Product Specification The durable anti-corrosive quality for the repair of zinc-plated surfaces matched in colour makes the zinc-alu primer particularly consumer-friendly. 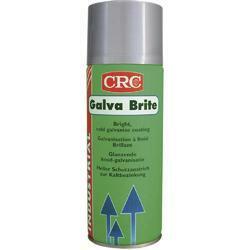 Also suitable for coating blank metals to protect them from corrosion. Tamper-proof cap avoids unauthorized use. 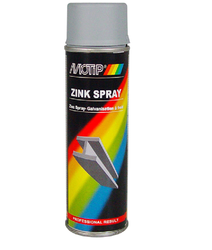 Looking for Zinc Spray ?